Gionee Mobiles has unveiled eight new smartphones each featuring a dazzling FullView display. The phones on offer include the S11, S11S, M7 Plus, M7, S11 Lite, F205, Steel M7 Power and M7 Mini. 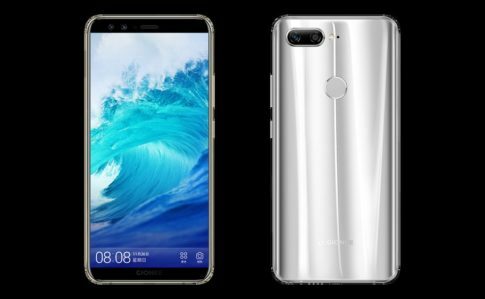 “Gionee’s strategy of producing a complete line of FullView display smartphones is also a strategy of product innovation and product differentiation. In addition to features like long battery life, security, and quad-camera photography, we will also be carrying forward other hallmarks of Gionee products. These include innovative functions, materials, and interactive experiences,” Liu Lirong, Gionee Mobiles chairman said. Gionee S11 is the company’s flagship smartphone, featuring a 6.1-inch AMOLED display up front which has a tall 18:9 aspect ratio. The smartphone has four cameras in total – a 16+8MP combination on the front and a 20+8MP dual camera setup at the back. The S11 will run Android 7.1 Nougat-based Amigo 5.0 user interface and will be available in Gold, Rose Gold, and Blue colors. The S11 is priced at CNY 1,799 and will be available from December 2017. Another smartphone, S11S is powered by MediaTek Helio P30 processor along with 6 GB RAM and 64 GB internal storage. S11S also packs a 6.01-inch ‘FullView’ display with 2160×1080 pixel resolution and dual cameras at the front and the rear, with the front camera setup sporting a 20 MP sensor and 8 MP sensor and the rear dual camera with a 16 MP and 8 MP sensors. Gionee has also packed NFC along with data security features like the Anti-Theft 2.0 and Private Space function which allows users to run two instances of a single app simultaneously on the same smartphone. The S11S is priced at CNY 3,299 and will be available from December 2017. Next in line is M7 Plus which is equipped with a dual security chipset that guarantees the security of payment, system, and data with battery capacity up to 5000mAh and 6.43-inch AMOLED 18:9 FullView display. In addition, this flagship smartphone comes with 6GB RAM and 128GB ROM, powered by Qualcomm Snapdragon 660 processor. The M7 Plus will be available in January 2018 and is priced at CNY 4,399. 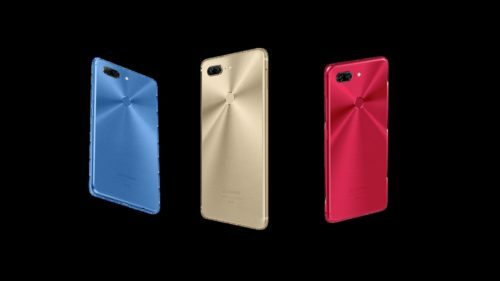 Also, M7 Plus is the first Chinese brand phone to offer wireless charging, the first to have artificial intelligence, and Automatic Speech Recognition to cancel orders, and provide fast payment with a single touch. Additionally, there is Gionee S11 Lite, priced at CNY 1,299 which will be available in January 2018. The M7 and M7 Power are priced at CNY 2,799 and CNY 1,599 respectively and will be available from December. Similarly, the M7 Mini and the F205 are priced at CNY 1,399 and CNY 999 and both will be available from December 2017.